Finding out that your basement may not be egress code compliant isn’t the best news. For someone who doesn’t make basements egress code compliant every day, this task may seem a little daunting. But there is no reason to get worried or stressed about it, we’ve got you covered! First things first, double check if your basement is egress code compliant or not. You can find out the egress code for your basement in the state that you live in here. If it’s not up to code, we have an extremely easy way to get your basement egress code compliant! Everything thing you need all in one place. We have a special kit for you! 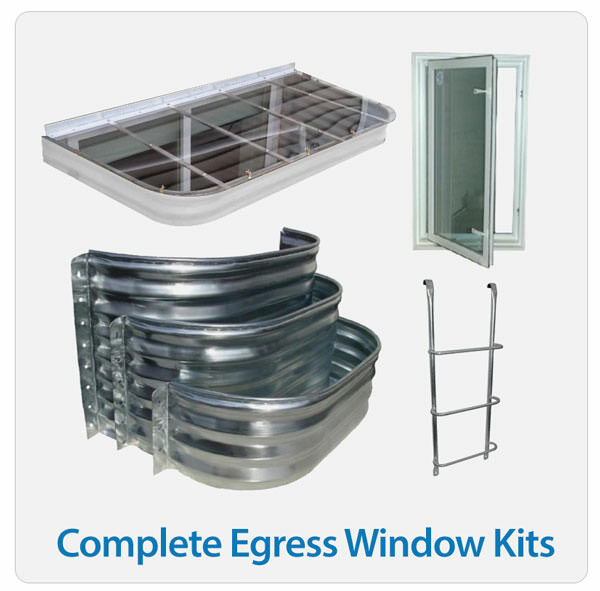 One of our egress window kits will have your basement compliant in no time! 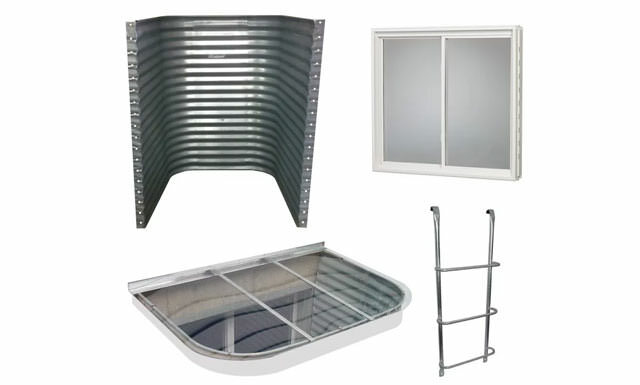 We personally select a basement window, window well, ladder, and even a cover that will all fit together perfectly! Not only will it fit together, but it will meet all egress code requirements for your basement. I’m sure you don’t have time in your already busy life to piece together everything you need to make your basement up to code. Let us do the work! We have experts on our team with over 30 years of experience dealing with these specific codes. What is All Included and Why? No matter what your situation is, the basement window will have strict standards. That’s nothing for you to worry about though! We will get you the perfect window to fit the requirements it needs. The basement windows we include in the kit also come in many different styles and types. There will be a great window for your style and will apply to the codes you need, no doubt about it! You need a basement window in case of an emergency to exit safely. The window well is the frame outside of the window making sure you have room to exit. All the sizes we carry are made to fit the different egress codes according to your state and jurisdiction. These window wells come in all kinds of styles such as faux rock, metal, galvanized steel, plastic, monarch stone, and many more. As a general rule, if your well is greater than 44” in depth you need a egress ladder attached to your window well. Good thing you don’t have to worry about that because it comes in our kit! Not all ladders are the same, but we will be sure to get the one you need specifically for your well. These ladders are super simple to install. They are made out of galvanized steel which means they are extremely durable and have a long life ahead of them! Last but not least, the window cover! It creates safety for your pets and children to keep them from falling down the well. That’s a pretty important component to the kit. These also come in different sizes and design to comply with the codes and match your style. No matter what your situation is, our team of experts will put together the perfect kit for you. The safety of your family is important to us. These kits will make your life simple and keep you from worrying if you basement is egress code compliant or not. We are happy to put your mind at ease!